Snag a deal on this 2007 Nissan Versa 1.8 S while we have it. Spacious yet easy-moving, its low maintenance automatic transmission and its durable 1.8L engine have lots of personality for an inexpensive price. You've done your research, so stop by Yorkton Hyundai this weekend to get a deal that no one can beat! Snag a steal on this 2012 Chevrolet Impala LT Sedan FWD before someone else snatches it. 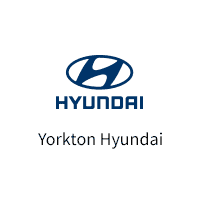 You've done your research, so stop by Yorkton Hyundai today to get a deal that no one can beat!